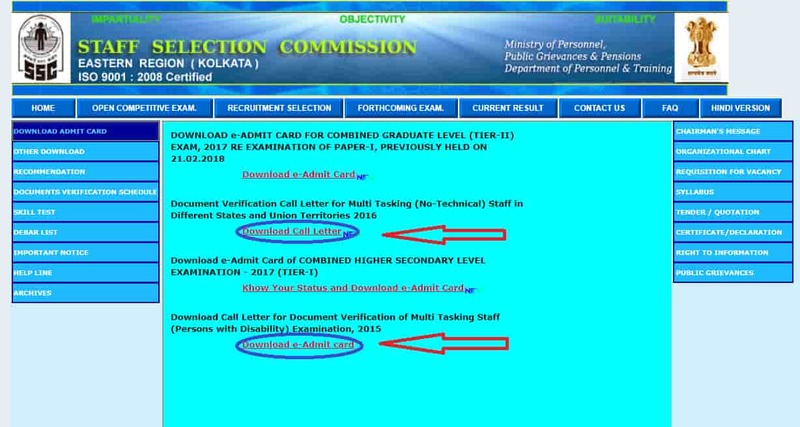 Declaration: SSC MTS 2019 Exam Admit card will be released 15 days before the exam. Website: The admit card will be available on the official website, http://www.ssc.nic.in. 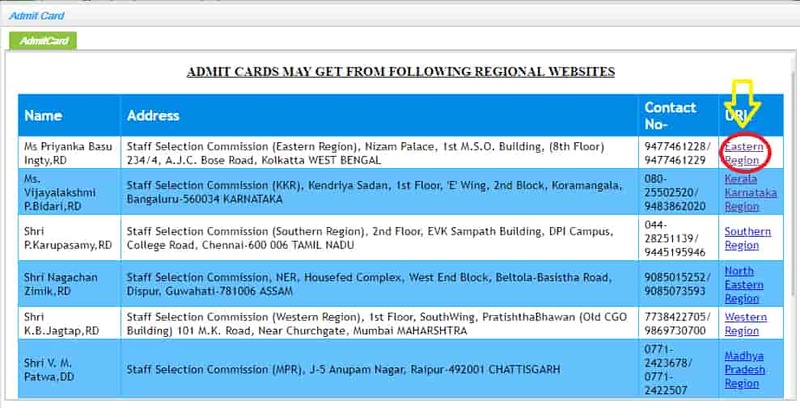 Access: The candidate has to download the admit card from the official website. Before downloading the admit card candidates need to check their name and other given details. Admit card will not be sent through the post, so the candidate should keep an eye on the official website for regular updates. Hard Copy: The candidate has to download and print it in A4 page format. Candidate should print multiple copies of admit card to avoid misplacement. ID Card: Candidate should carry a copy of your Admit card as well as a valid ID card (Voter ID or Id Card) to the Examination Centre. Photograph: The candidate has to attach the same photograph which was uploaded in the application form on the admit card. Signature: Candidates need to sign on the admit card in the signature box. The signature in Admit card should match with the signature on the answer sheet. Step 4: The candidate has to enter their registration number/roll number and date of birth to access the admit card. Step 5: In case, candidate forgets the registration number he/she can insert his/her name father's name and date of birth. 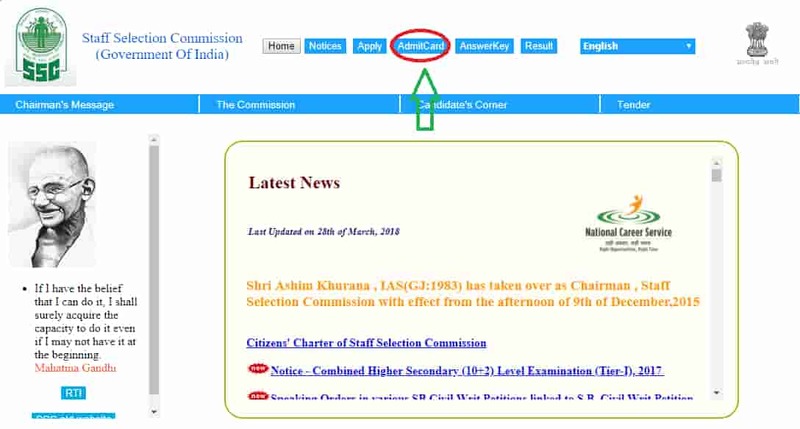 Click on search result and candidate will be directed to the admit card. Step 7: Download the admit card and print it. NOTE: Candidates should take multiple copies of admit card, so that extra copy can be used in case of misplacing. The candidate has to review the admit card before downloading it. In case candidate finds any find any mistake in the admit card, he/she can report to the respected regional office.